Some small updates that will have a big effect in your bathroom. Traditionally the ensuite was a small utility room adjoining the master bedroom, but we’ve come a long way from using bathrooms simply for washing. “An ensuite is where an individual has the convenience of grooming and relaxing without sharing the space with the extended household,” says Daniela Santilli, Bathroom Marketing Leader at Reece. 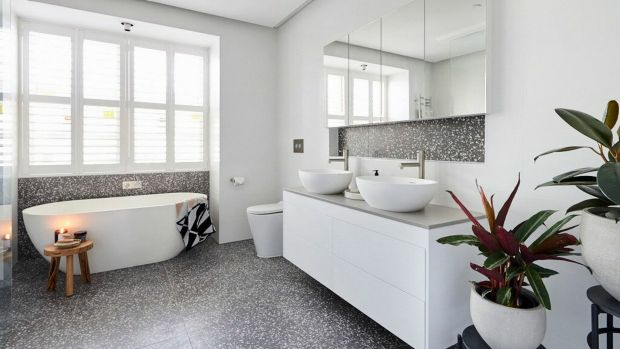 Here are six more reasons why an ensuite should be top priority. According to research by Reece, the shower is more crucial to the overall bathroom experience than any other element. “The impact of water connecting with your body has the ability to shift your mood,” Santilli said. If you have the space, a freestanding bath helps create a personal retreat. “Choose one with organic curves and a high back for head support during a long soak,” says Santilli. 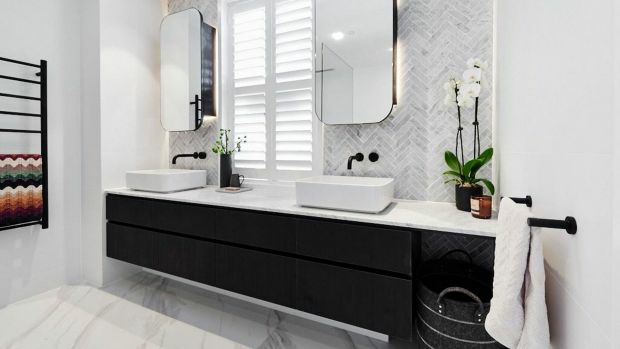 While adding new towels and high-end accessories helps a bathroom look luxurious, tiles make up most of the hard surfaces and are the key to setting style foundations. 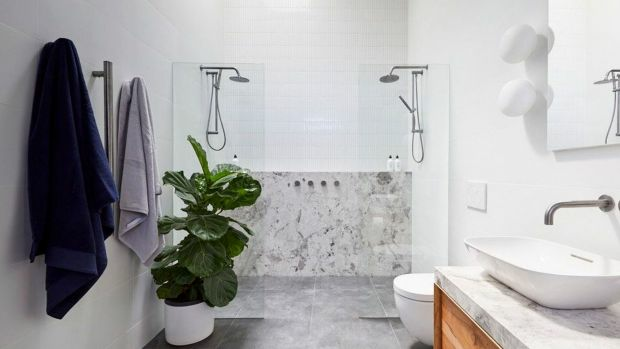 Winners of The Block main bathroom week, Courtney and Hans went for luxe by choosing terrazzo and large-format tiles once again in their ensuite. “These are two big trends at the moment,” says Vanessa Thompson, Strategic Designer with Beaumont Tiles. The ensuite is an extension of the main bedroom and is a very personal space, says architect Pedro Garcia of Tamospaya. “You have to feel comfortable and relaxed, it’s intimate and where you are most vulnerable,” he said. It should avoid feeling crowded and allow room for grooming and dressing. The ensuite is often small, so making it feel as light and roomy as possible can add a sense of proportion to the rest of the house. One trick is to ensure two people can use the room at the same time. Santilli says a double wall-hung vanity, in-wall toilet suite and frameless shower screen will free up the floor. 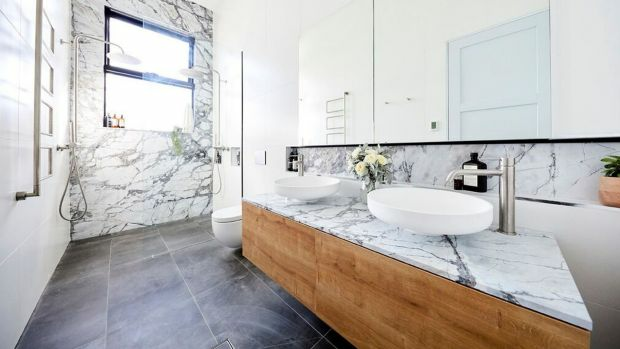 The Block judges put storage at the top of the bathroom must-have list. 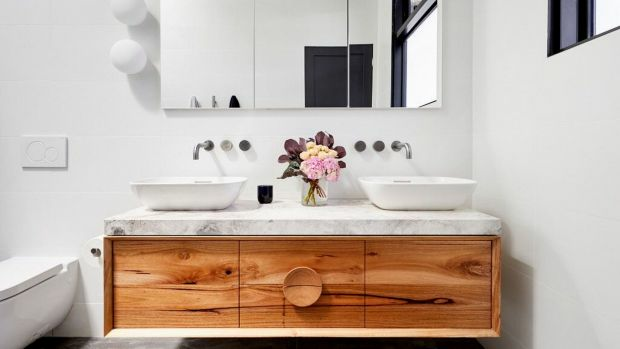 In both main bathroom and ensuite weeks, the teams who installed eye-level storage behind mirrors and deep under-vanity drawers scored the points. In an ensuite, scrimping on storage and work surfaces such as the bench surrounding the vanity basin is a common mistake. 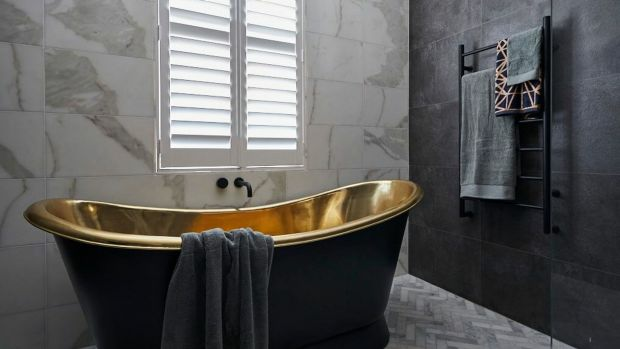 “An ensuite is generally the first solution to installing an additional bathroom, and some buyers won’t even look at property if there’s no ensuite,” says Megan Smith, Residential Sales Consultant with Ray White Balmain. Head to Domain’s The Block Hub for all Block related content.